The headline today: "The face of journalism is changing as fast as new events occur, but good storytelling and solid research remain essential." Journalists must adapt to new means of delivering the news. Earn a competitive edge with reporting, writing and editing skills for online, television, radio and print within this ever-evolving industry. 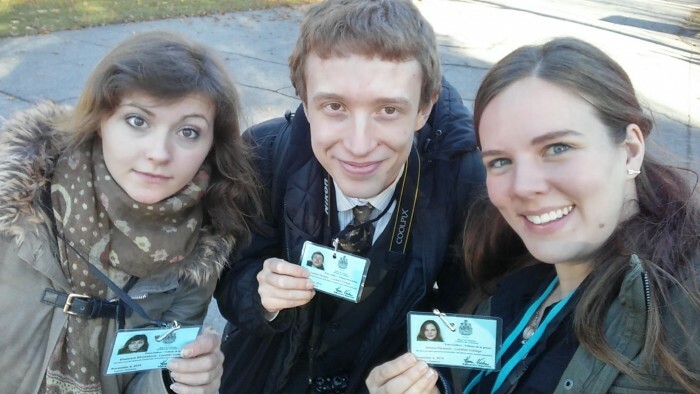 Loyalist Journalism students Kate Shumakova, Joseph Quigley and Emma Persaud were at Rideau Hall this morning for the swearing-in of Canada’s new Prime Minister, Justin Trudeau. 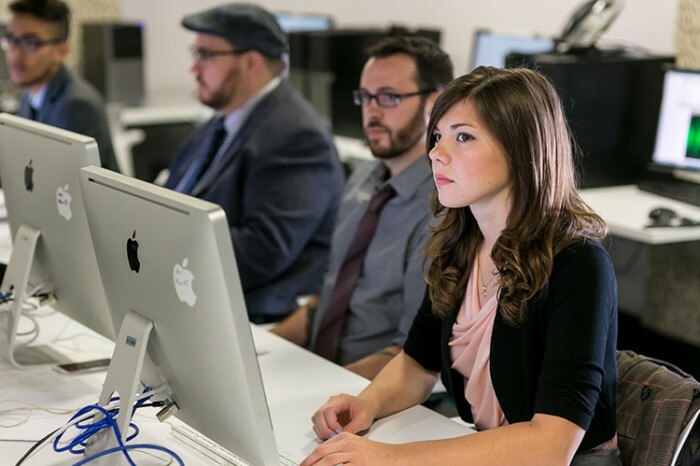 Students are prepared to work in radio, television, newspaper, magazine and online newsrooms. Graduates find work as writers, reporters, photographers, editors, freelancers, web content providers, editorial assistants, videographers, program hosts and news anchors. The skills developed in this program can also lead to careers in public and media relations, and educational, training or industrial video production. Multimedia Journalist, Metroland Media Group Ltd. Develop hands-on skills in research, writing and interviewing. Use digital tools and apps for gathering and sharing stories, video, social media and interactive journalism. Create newscasts for the federally licensed College radio station, 91X. Work with a team of student reporters, ENG shooters, producers, anchors and editors to produce a web-based television newscast. Publish original work for the student-produced community online news service, QNet News (qnetnews.ca). Learn with guest speakers from the community and from large market radio stations, newspapers and TV networks. Cap off your studies with on-the-job experience during an eight-week field placement. Placements have been completed at newsgathering organizations across the country including the Winnipeg Free Press, Windsor Star, Bracebridge Examiner/Gravenhurst Banner, CHEX-TV and CTV. Faculty have written for TIME Magazine and national and regional newspapers, including a member of the team that won the first National Newspaper Award for local reporting, in 1997. TV experience spans specialty channels including National Geographic Canada, BBC Canada and the History Channel, as well as a CBC national correspondent who opened one of the northernmost TV bureaus in the world in Cambridge Bay, Nunavut. Professors have decades of radio experience at CBC Ottawa and stations in Belleville, Halifax and Toronto. Faculty also bring diverse professional experience in commercial acting and voicing, marketing, sales, graphic design, art direction, digital illustration, web design, video­g­ra­phy and lighting design. This course list is currently being updated. Please check back for changes or contact the program coordinator at jopb@loyalistcollege.com. Delivering stories with sound requires specialized skills. Students use the radio newsroom text and audio production software to create stories and newscasts, including techniques for field recording and non-linear editing. Students are introduced to vocal performance techniques (projection, speed, articulation, expressiveness, inflection and pronunciation) for radio and online presentation. Students build on these skills and adapt them to on-camera performance for television as well as on-camera presentation online. At the heart of every good story is solid reporting. In this course, students focus on the fundamentals of newsgathering to develop their reporting skills. Journalists need to possess a wide range of general knowledge. In The Working Journalist, students learn the fundamentals of municipal, provincial and federal governance; policing and the legal system; Ontario's educational and health-care systems; important community institutions and organizations; and business and industry. They are introduced to key ethical issues in journalism that will help to inform their judgment. The use of proper writing mechanics is a critical element in journalism. This course teaches students how to use online grammar tools, and how to edit and polish their writing mechanics – spelling, grammar and punctuation. Journalists are storytellers. In this course, students begin learning how to write stories that engage and inform, with an emphasis on style and structure. Building on skills from the previous semester, students continue to focus on the foundations of newsgathering to develop further their reporting skills. The tools reporters use are evolving. 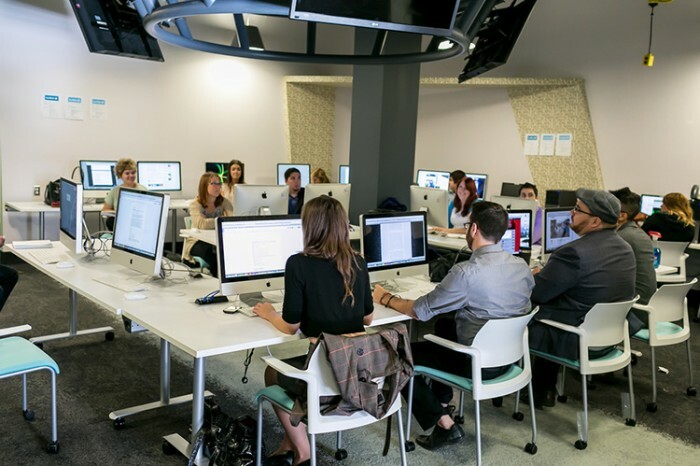 Students learn web design fundamentals, which include the incorporation of audio and video elements, interactives, and audience engagement strategies. Indigenous history and context are critical components of the journalist’s skill set. This course will create awareness of and provoke discussion about Indigenous people and their communities throughout the newsgathering process from pitching to covering and presenting stories. Students advance their newsgathering skills beyond single platforms, honing their reporting and writing techniques. Journalists are storytellers. In this course, students learn how to write stories that engage and inform with an emphasis on content that suits the medium and the audience’s attention. Audiences consume news in increasingly varied ways. This course focuses on how a multi-platform newsroom produces content to meet ever-changing demands. Students experience everything from traditional delivery to mobile-focused newsgathering and presentation. Creating a vibrant, effective portfolio is the cornerstone to a future career in journalism. This course is an opportunity for students to gather their best work and present it in exciting ways to potential employers or clients. 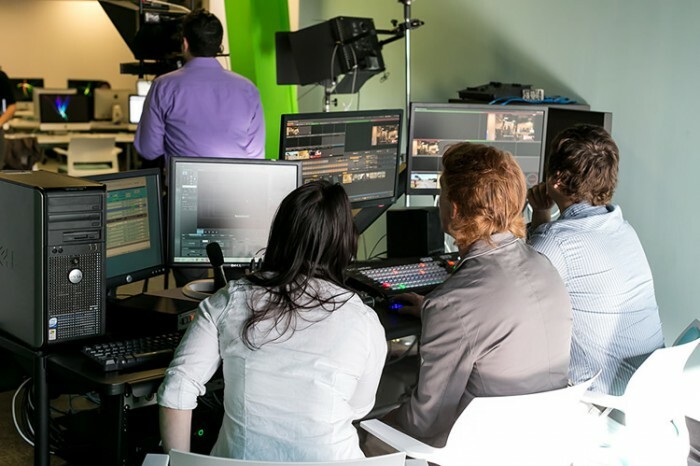 Students participate in the collection, reporting, production and presentation of news content in our integrated digital newsroom. Students work as full-time reporters, ENG shooters, producers and editors in the production of news and public affairs content (newscasts, text stories, video, interactives, photos, social media, etc.) for QNet News (qnetnews.ca) and for the College radio station 91X (CJLX-FM). 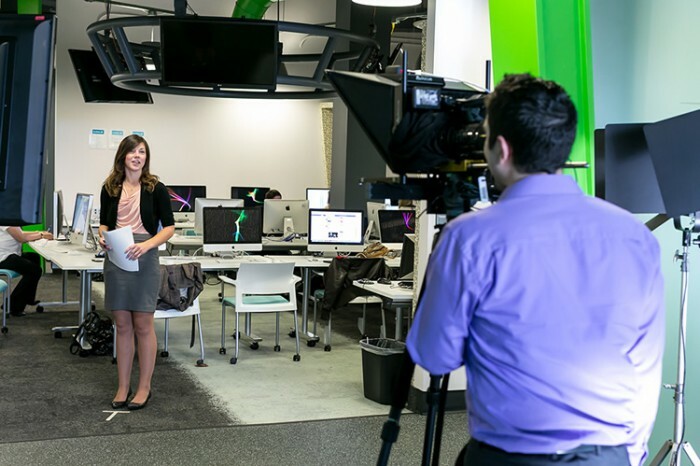 In preparation for entering the industry, students’ skills are advanced in the integrated digital newsroom. Students create high-impact stories tackling important issues as reporters, ENG shooters, producers and editors using multiple media, social media tools and emerging technology for QNet News (qnetnews.ca) and the Loyalist College radio station 91X (CJLX-FM). 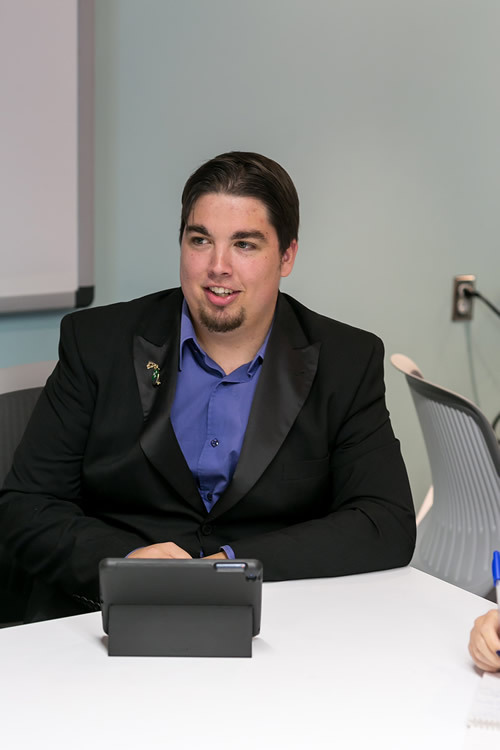 This course builds on students’ skills in our integrated digital newsroom. 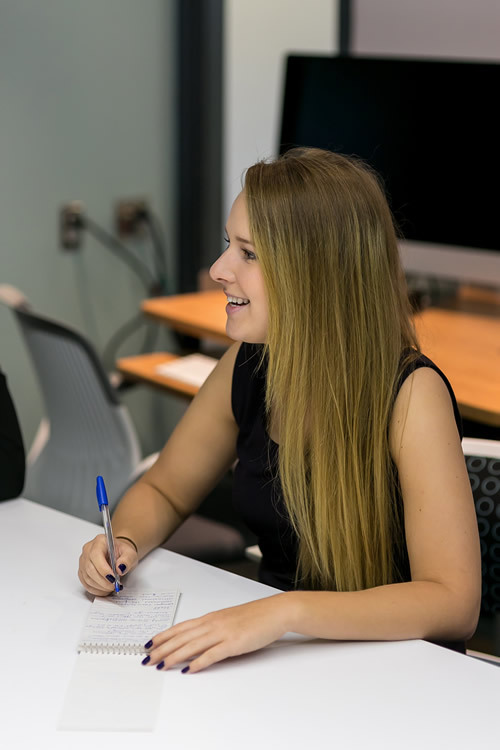 As experienced journalists, students provide leadership and act as mentors to others working in the newsroom. Creating a vibrant, effective portfolio is the cornerstone to a future career in journalism. This course is an opportunity for students to gather their best work and present it in exciting ways to potential employers or clients. 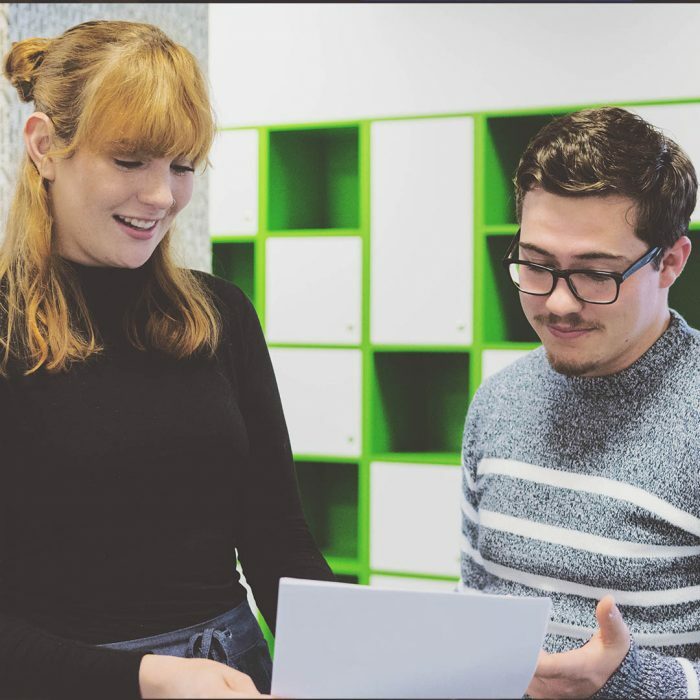 Students prepare for industry placement. Creative, innovative journalists will determine the future of the news industry. In this course, students develop solid business skills, preparing them to participate in the evolving job marketplace. 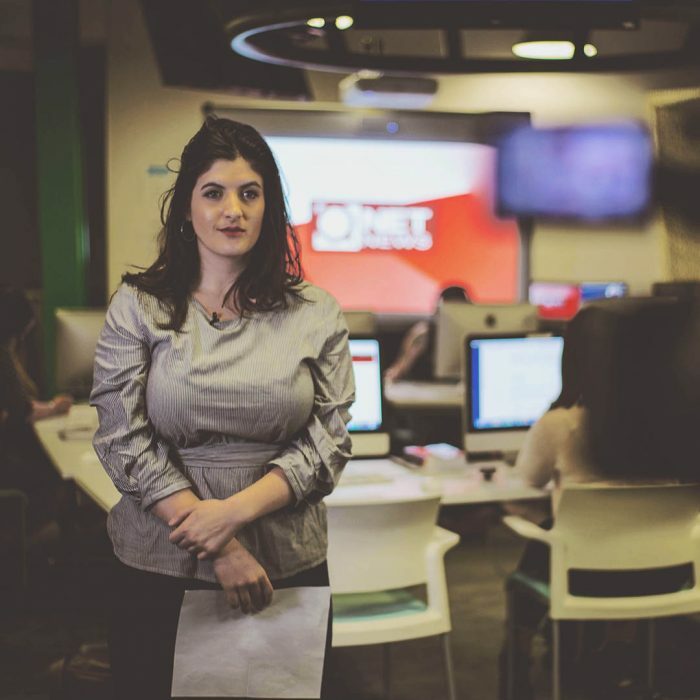 Laying the foundation for a career and gathering vital industry experience, students work within a recognized news media organization. Previously, students have worked at CBC, ET Canada, CTV, CBS 60 Minutes, TSN and the Hockey News, among other major media. 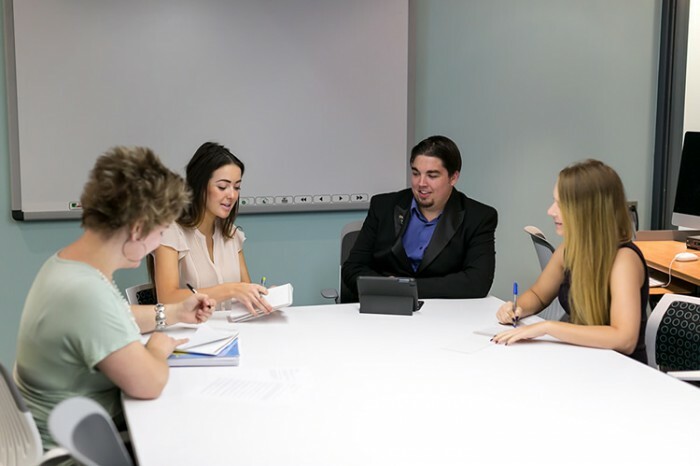 Eligible Journalism & Communications diploma graduates have the opportunity to enter York University's Consecutive Bachelor of Education (BEd) in Technological Education program. Students are required to purchase a smartphone/data plan (iPhone or Android, though iPhone is preferred). 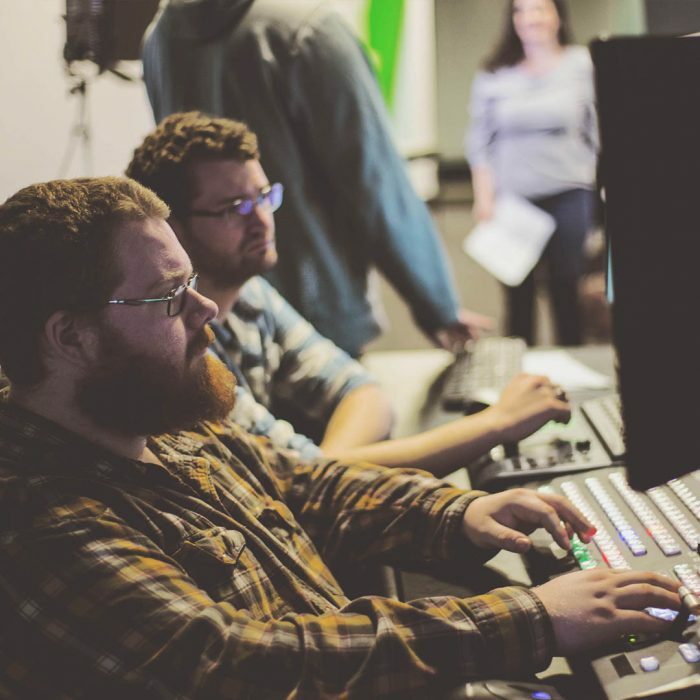 Get the best of both worlds with this joint diploma-degree program, dividing your studies between Trent University in Peterborough and Loyalist’s new Digital Media Centre. 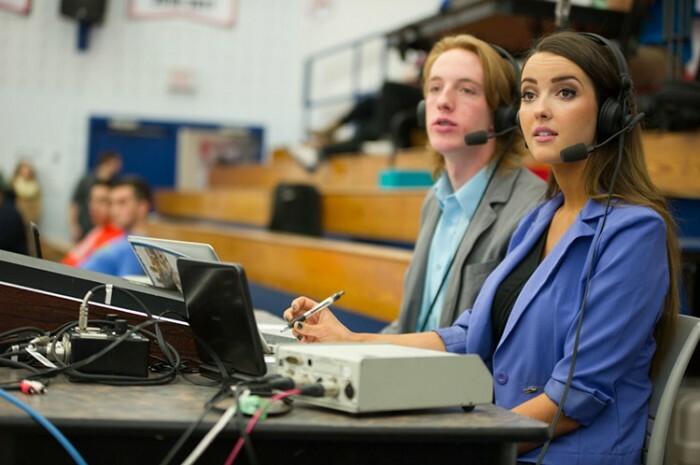 Earn a diploma from Loyalist College and an honours degree from Trent University with a joint major in Journalism and a second discipline of your choice. We encourage you to contact an academic advisor at Trent to discuss your pathway. Click here for more details, or visit trentu.ca/journalism. Students must apply through the Ontario Universities’ Application Centre (OUAC). Twelve people lost their homes as a devastating fire destroyed the Sherwood Forest Inn Monday morning in downtown Trenton. 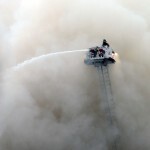 Firefighters responded to multiple 911 calls at around 9:40 Monday morning, said John Whalen, Quinte West fire chief. 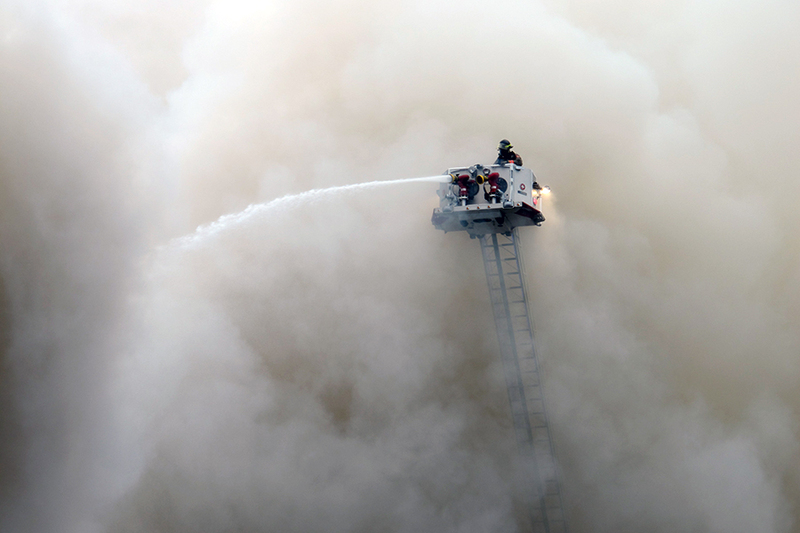 “Originally we thought someone was trapped on the third floor so we initiated an offensive attack, went in the building, but there was no one inside,” said Whalen.